Providing quality and effective representation in complex family law matters. Going through a divorce can be one of the most stressful times in a person’s life. The choice to seek a separation and divorce can be a difficult and confusing decision, especially when children are involved. Attorney Lisa Hennessy Fitzpatrick can assist with advising you on your rights and options. Ms. Fitzpatrick can also assist you in preparation for separation. It is important to have legal guidance and support when transitioning from one household to two households. We provide high-quality personal legal representation in cases of divorce, legal separation, property distribution and division, child custody, child support, spousal support, adoption, name changes, paternity, prenuptial agreements. My spouse is not abiding by the Court Order, what do I do? If you have a Court Order currently in place and one party is not abiding by the Court Order, the mechanism by which a Court Order is enforced is done through Contempt procedures in which the court will assess whether the party violated the Court Order and then will enter sanctions such as: fines, imprisonment, specific performance, attorney’s fees, etc. depending upon the Judge’s findings and determination. What is the residency requirement in North Carolina to file for Divorce? In most cases, one party must reside in the State of North Carolina for at least six (6) months before you can file for divorce in North Carolina. 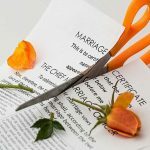 My spouse and I signed a separation agreement and my spouse is not abiding by the agreement, what do I do? A separation agreement that has not become incorporated into a Court decree is a private contract and is enforced the same as any other contract: breach of contract and recovery of monetary damages. The party can also pursue the equitable remedy of specific performance. If the Agreement is not a Court Order it is not enforceable by contempt of court. I found out my spouse is cheating on me, I want a divorce! If you determine that your spouse has committed marital misconduct, you are entitled to seek a fault based divorce. Additionally, the State of North Carolina is one of the few states in which you can sue the paramour for breaking up your marriage under the torts of alienation of affection and criminal conversation. There are only approximately seven (7) states that permit these types of lawsuits. (3) That the defendant with malice caused the loss of the love and affection between Husband and Wife. Criminal conversation is a strict-liability tort. This means that if your spouse has engaged in an adulterous relationship with a third party they are guilty of criminal conversation and civil damages are available. There is only one element to prove for criminal conversation: Defendant (third party) and Plaintiff’s spouse engaged in sexual relations without the Plaintiff’s consent. Plaintiff will prevail even if the Defendant argues that they did not know the person was married. Defendant’s lack of knowledge that the spouse was married is not a valid defense. An Absolute Divorce in North Carolina is also known as an uncontested divorce or a “no-fault” divorce. The bonds of matrimony can be dissolved upon the application of either party after Husband and Wife have been legally separated for a period of one (1) year. If you have been separated for a period of one (1) year and are looking to file for an absolute divorce, contact The Law Office of Lisa Hennessy Fitzpatrick, PLLC. For most cases, neither party needs to appear in Court and we can appear on your behalf to make it easy and convenient for you!